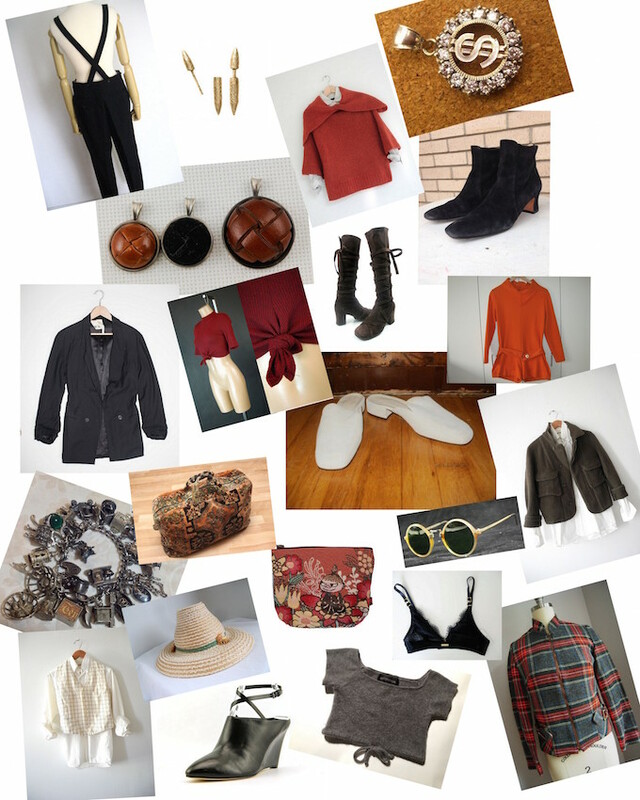 Some of my curated Clean Gamine eBay finds - I don't get commission or anything like that on this stuff, just thought I'd share some cool pieces for fall. I have to say, I'm particularly intrigued by a few things- like these leather button sterling silver pendants, which you could add to thin silver chains of varying texture; or this particularly lovely wool plaid bomber jacket. You can tell it is made beautifully by how the lines of the plaid align perfectly on either side of the zipper (!). I can personally vouch for one pair of these shoes; I ordered the cognac "Giorgios" and while they're stiff and must be worn with good socks to avoid blisters, you can't beat the price for a classic leather shoe that you can potentially throw on with anything. Basically you get anything from Vintage to Yohji to Reformation to Jcrew here, all with a nod towards more mod/classic shapes with a twist. $5-250 and all kinds of shoe and apparel sizes. Nice collection of october ebay. Every girls most wanted collection .